Do you think it's possible to eat too many vegetables? For most vegetables, I would say no. But vegetables high in carbohydrates might be the exception. Particularly if you're worried about developing hypertension. Although the U.S. government has listed potatoes as a vegetable thanks to their high potassium content, that's not all they're high in. 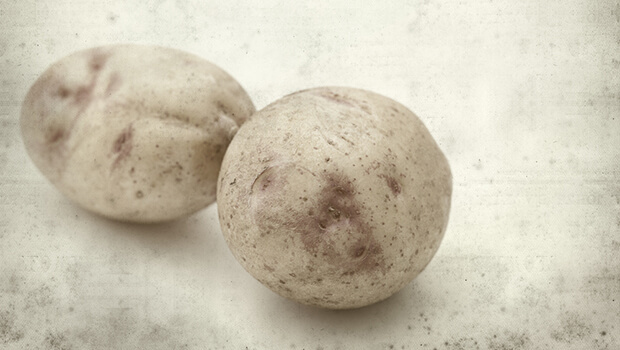 Potatoes are high in carbohydrates and high on the glycemic index, which means they can cause blood sugar to spike. And this can contribute to hypertension. The researchers examined data from over 187,000 participants who recorded their diets for over 20 years for three large studies. The researchers were able to evaluate these records along with the participants' reports of whether or not they were diagnosed with hypertension. They found that women in particular had an increased risk of developing hypertension if they ate baked, boiled, or mashed potatoes four or more times a week compared with those who ate them less often than once a month. Both men and women experienced an increased hypertension risk if they ate a lot of French fries. The researchers also found that simply by replacing one serving a day of potatoes with a non-starchy vegetable could lower your hypertension risk. I think this is a wise idea. It's always a good idea to eat a variety of vegetables, rather than sticking with the same thing all the time. Why do potatoes cause an elevation in blood pressure in some people? In all likelihood it's because they are high in carbohydrates. Diets high in carbohydrates lead to weight gain and high insulin levels. And both of these can cause an elevation in blood pressure. So if you have high blood pressure or have a family history of it, especially if you're overweight, ask your doctor to check your insulin level. If it's over 10 mIU/ml, it's too high. In that case, cut back not only on potatoes, but on all the other carbohydrates – sugars, grains, fruits, and root vegetables. To further reduce your risk of hypertension, you also can take Advanced Blood Pressure Support or CircO2. Advanced Blood Pressure Support is a blend of herbs and nutrients, including hibiscus and magnesium, which will keep your blood flowing freely to your heart and throughout your circulatory system. CircO2 also promotes healthy circulation by boosting your nitric oxide levels.